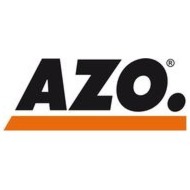 AZO, the specialist in the automation of raw materials logistics for bulk solids and liquids, will be presenting AZO®RoLog. The new system automates the dosing process for micro quantities using a combination of the very latest AZO technology and established robotics. Low-Shear powder wetting In continuous processes and in semi-batch processes, solids are introduced using fast-rotating tools (homogenizers, pumps, etc.) in the current state of the art. The AZO DOSITAINER® is a container with integrated dosing screw. It is an ideal transport and storage bin for bulk solids at medium throughput. As a mobile storage container that can be automated, it is also used in automatic processing plants. AZO CleanDock® is a system for docking containers at upstream dosing units. Apart from dust-free transfer between dosing units and mobile containers and decoupling from scales, it provides further functions. This contrasts with the situation when mobile containers are used. AZO’s time-tested big bag connection system has acquired some additional, very practical new features specifically for this application. Independent connection systems have been developed to meet the special requirements in the sector of big bag handling. AZODOS® type P … DV dosing unit is used for volumetric metering of powdered products in weighing and finishing processes. Everything in one place – the new information platform from AZO gives you important information about your machines and systems. Use an RFID or a QR Code reader to identify the component you need, and you will get all the relevant data in a single app. AZO cyclone screeners combine operationally safe technology with high performance and easy maintenance and cleaning. The screeners can easily be integrated into existing systems thanks to their compact design. ManDos is known as a tried and tested system solution for exact weighing of colours, additives and other micro quantities. An operator-guided manual weighing process that can be adapted to specific requirements – accurate to the gram and true to the recipe. With an investment of around € 2 million AZO is laying the foundations for further expansion of its market position in neighbouring France and on the European market as a whole..
Investition in die Zukunft - AZO baut seine Marktposition in Frankreich weiter aus. New containment cyclone screener — Screening products under containment conditions is one matter. Maintaining and inspecting cyclone screeners without exposure is another. Now Azo has designed a new real containment solution that utilise a flexible film liner technology.